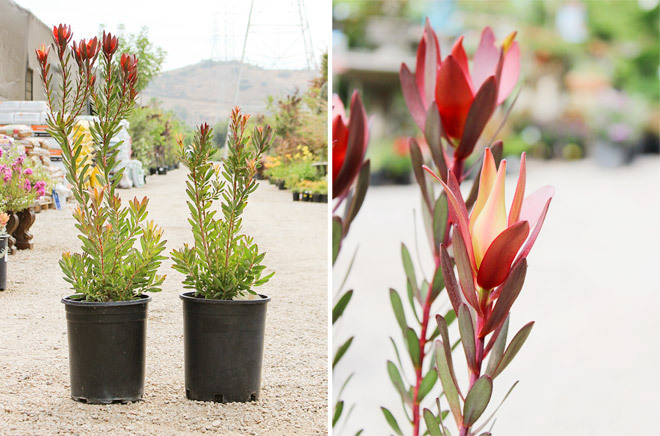 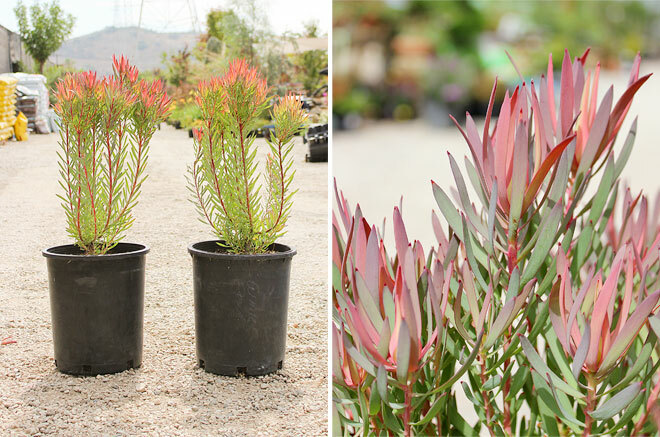 These South African varieties will introduce some unique color and texture to your low water landscape. 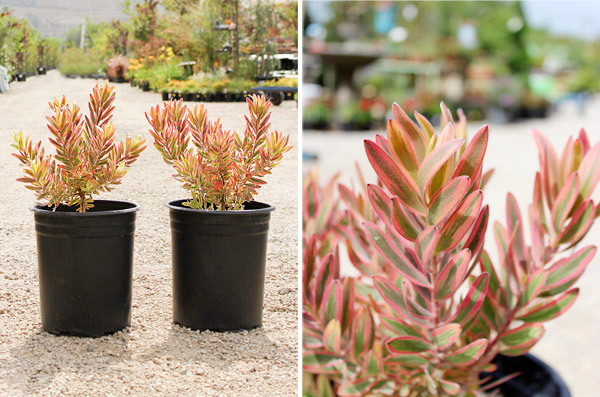 These evergreen shrubs will range from 3 to 8 feet tall and wide with showy, rich red bracts that sit atop branches of variegated foliage in late winter into spring, depending on the variety. 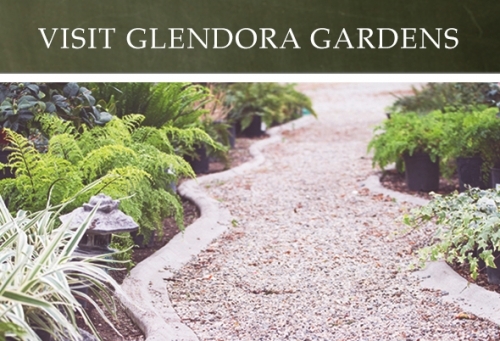 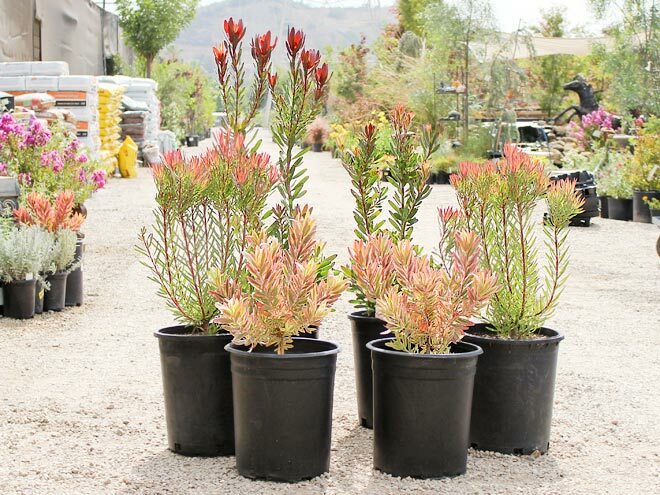 Thriving in full sun with a well drained soil, this drought tolerant can be a great stand alone focal point or even used as a hedge for a vibrant splash of foliar color!